From March 18th to 20th HWBOT will be hosting its first visit to South Africa as part of the HWBOT World Tour 2016. Today we can reveal more details about the format of the contest and the rules involved for both Amateur and Extreme World Series contests. 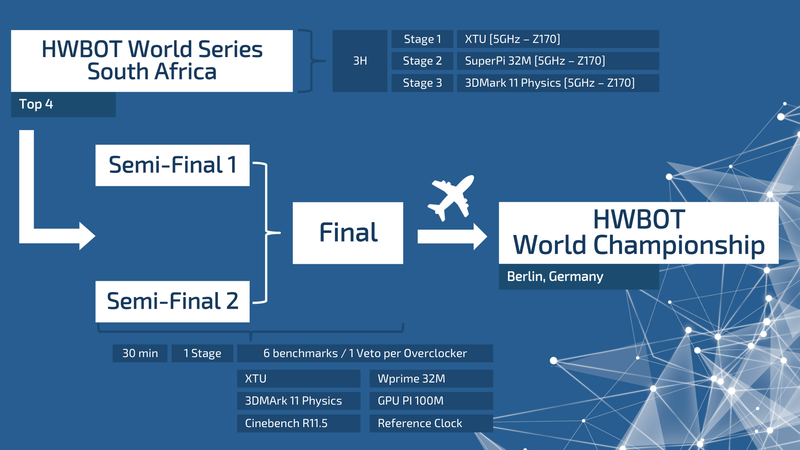 The idea behind the HWBOT World Tour is to raise the exposure of overclocking with PC gaming and enthusiasts around the world. Each stop of the World Tour uses a major PC gaming event as a backdrop, offering OC Workshops for gamers and enthusiasts to learn more about their hardware and attain the basics needed to improve system performance. However, an important part of nurturing the next generation of overclockers also involves exposing them to solid competitive action so that they really do understand the true nature of overclocking as an eSport. For this reason the World Tour also integrates two levels of competitive OC action with World Series events for both Amateur and Extreme players. Let’s take a look at how these contests are setup. The World Series for Amateurs contests will be held during the rAge Expo with the OC Workshops ostensibly acting as qualification rounds. OC Workshops will be held on March 18th and 19th. All benchmarking will be on XTU with 30 minutes given for the qualification rounds and 2 x 15min swap brackets for both Semi-finals and the Final. 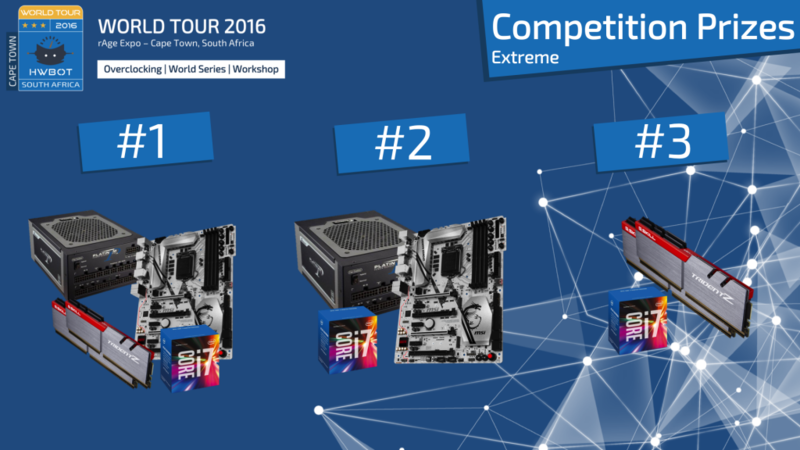 Note: The four overclockers with the highest XTU score will qualify for the semi finals. The Extreme World Series contest will start in the afternoon of March 19th. Extreme Overclockers will be given 3 hours for the qualification round benching on XTU, SuperPi32M, and 3DMark 11 Physics. 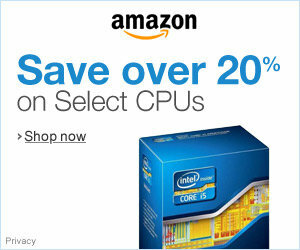 Note: For all these benchmarks the CPUs limited to Skylake @ 5GHz max and 5GHz uncore. The Extreme Finals will start on the morning of March 20th with two 30 minute segments allowed for the semi-finals. The Extreme Final will be held in the afternoon of March 20th evening of March 19th shortly followed by an Award Ceremony. Note: Benchmarks will be drawn at random from six possible benchmarks: XTU, 3DMark 11 Physics , Cinebench R11.5, Wprime 32M, GPUPI 100M, Reference Clock (BCLK). Each overclocker in each segment will be allowed to veto-out one benchmark. 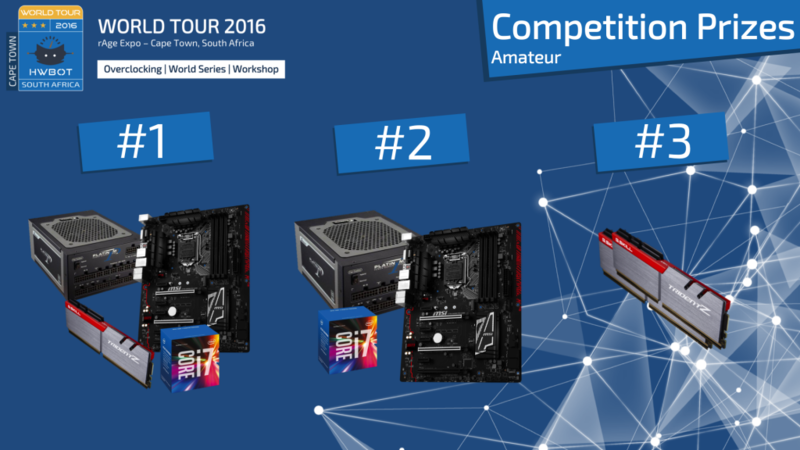 Don’t forget that both Amateur and Extreme category overclocking contests include some great prizes for the winners including motherboards from MSI, Seasonic Power Supplies, memory kits from G.SKILL and a “special World Tour edition” benchtable by Streacom. Also, the Extreme Series offers a chance to compete in the World Series Grand Final in Berlin at the end of the year. Some nice prizes up for grabs - really keen on finding out how good the South African rookies are! Do ya have to use a specific board? For qualification - no. For the final - yes. Ooooh, will we get an email detailing what stuffs we need to bring for qualifiers / finals?